The Rockport train station is one of the stops where there’s no place nearby to purchase tickets before boarding trains. I first reported two weeks ago about the $3 surcharge — sorry, the MBTA is calling it a “non-discount” — that the T will soon tack on for all commuter rail customers buying tickets on board. That one had gone unnoticed among the scores of changes coming July 1, but it has since struck a nerve with readers and lawmakers. If you missed it, the T has been trying to cut down on the number of cash transactions on the commuter rail and reduced the number of people riding for free, even inadvertently. That’s laudable, but they’ve been going about it in a way that many see as ham-handed or unfair. The T is eliminating the 12-ride commuter rail punch ticket, valid for six months, replacing it with a 10-ride version valid for one month. Because conductors don’t always reach everyone, especially on crowded trains, those passes are often good for a few free rides, something that many who pay full freight complained about at public hearings this winter. That change for the punch cards will make more people choose between prepaid, unlimited monthly passes (where the T collects one sum upfront, no matter how often a person rides or a conductor checks) and single-ride tickets. Now a few more catches: Those single-ride tickets are about to get a lot more expensive. And they will be valid for only 14 days instead of six months, also starting July 1. Which means fewer people will buy in advance — which brings us back to that on-board surcharge. Technically, the T already has a surcharge ($1 off-peak, $2 peak) for tickets bought on board, but it is applied sparingly, with conductors acknowledging that many of the 135 commuter rail stations do not offer customers the opportunity to buy tickets before boarding. Only a handful have automated machines or staffed ticket windows. Roughly half have nearby retail partners — coffee shops and the like — selling tickets, but not all are located close enough to platforms for customers in a rush to buy them easily. Still, as of July 1, everyone buying on board will be hit with a $3 charge — though the T is now baking that surcharge into the list price and calling the lesser prepaid fare a discount. 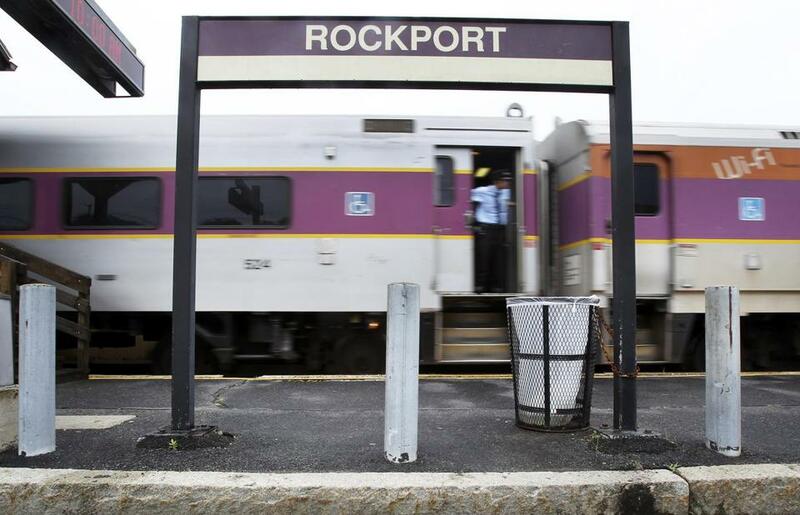 Take Rockport, where reader June Hayes frequently boards for trips to North Station. A one-way ticket from that station costs $7.75, and Hayes has never had to worry about the surcharge because there’s nowhere nearby to purchase tickets. Now the price is going up to $13 — unless she finds a way to buy it for $10 in advance, risking expiration in the process. Hayes’s advocacy led to a front-page article and an editorial in a North Shore paper. Last week, state Senate minority leader Bruce E. Tarr of Gloucester raised the issue on the Senate floor in the debate over the so-called MBTA bailout bill. Tarr sought to block the surcharge wherever tickets cannot be purchased in advance, and to make all single-ride tickets and punch cards valid for at least 90 days. A redrawn version adopted by the Senate would not stop the T immediately but would require it to study and revisit the changes after three months. That still must be squared with the House version of the bailout bill. But, unless otherwise barred, the MBTA plans to proceed with the tightened expiration dates and the surcharge — sorry, nondiscounted fare — for all on-board purchases, spokesman Joshua K. Robin said. Reader Mark Winkeller of Boston wants to know what’s going on with all the Jersey barriers and orange plastic barrels around the westbound on-ramp from Arlington Street to the Massachusetts Turnpike and along the Pike itself in Bay Village, where the Back Bay and South End meet. The barrels near Bay Village protect newly installed drainage catch-basins and will be in place for another month. “They have been in place for months, yet there never seems to be any work done,” Winkeller writes. The on-ramp runs parallel to Cortes Street — a line of classic bow-front brick rowhouses facing the Pike — and Winkeller is also curious about the heavy planters that have been placed at the east end of Cortes, at Arlington. First, the barrels and barriers. This area is part of a previously reported $10 million upgrade for the Pike’s Prudential tunnel and nearby exit ramps, prompted by drainage problems in heavy rains that opened deep potholes. The overall project, performed by contractor R. Zoppo Corp., started in mid-2010 and was originally slated to wrap up in the fall, though work is likely to continue until the winter, state Department of Transportation spokesman Michael Verseckes said. In addition to drainage improvements, concrete repairs, and roadway resurfacing, the project includes new lights, repainting, and installation of new barriers. There will also be fiber-optic cable and “Intelligent Transportation Systems” devices to help the state collect and disseminate real-time information about congestion and traffic problems. The barrels near Bay Village protect newly installed drainage catch-basins that eventually will be flush with the pavement but that, for now, are higher than the travel lanes. They keep vehicles from rupturing a tire or damaging the drainage basins and will be in place for another month, until the top layer of asphalt is paved, Verseckes said. Until recently, Jersey barriers protected the work site, but now the only ones in place have been built into the edge of the Pike as support anchors for the wall holding up the adjacent grassy hillside. That area, known as Parcel 18, had been excavated in preparation for the mega-complex known as Columbus Center, an $800 million project that would have straddled the Pike and that was finally declared dead in 2010 amid a weak economy and after years of community pushback. The planters, which will outlive the Pike work, are meant to separate local and Turnpike-bound traffic and slow drivers headed for the Pike, Verseckes said. Do you have any old T tokens kicking around? If you’re not saving them out of nostalgia, now’s the time to cash them in. The MBTA last sold tokens in 2006 but has continued to accept them as a form of payment — each is worth $1.25 on a stored CharlieCard or CharlieTicket — a practice that will end July 1. I’d like to hear from token fans who either turned in a bushel of them recently or are about to and lament the end of an era. E-mail me at the address below. Eric Moskowitz can be reached at emoskowitz@globe.com. Follow him on Twitter @GlobeMoskowitz.